Purchase and earn 124 Points! With a familiar flavour and aroma inspired by your favourite coffee stop on a busy morning, we developed this blend especially for our Canadian donut shop fanatics. Best with cream and something sweet! *Limit 1 review per product, per user. Reviews are subject to approval, and can be removed if deemed inappropriate. Get Free Shipping on all orders over $60 Canada-wide! Mon-Fri | 8am-5pm Industry leading customer care only a call, click or email away. Join our rewards program and earn 5% back in points with every order and enjoy other exclusive perks only available to members. Guaranteed the perfect cup! Our coffees are certified fresh because no one roasts, packs, and delivers faster than Muldoon’s does. 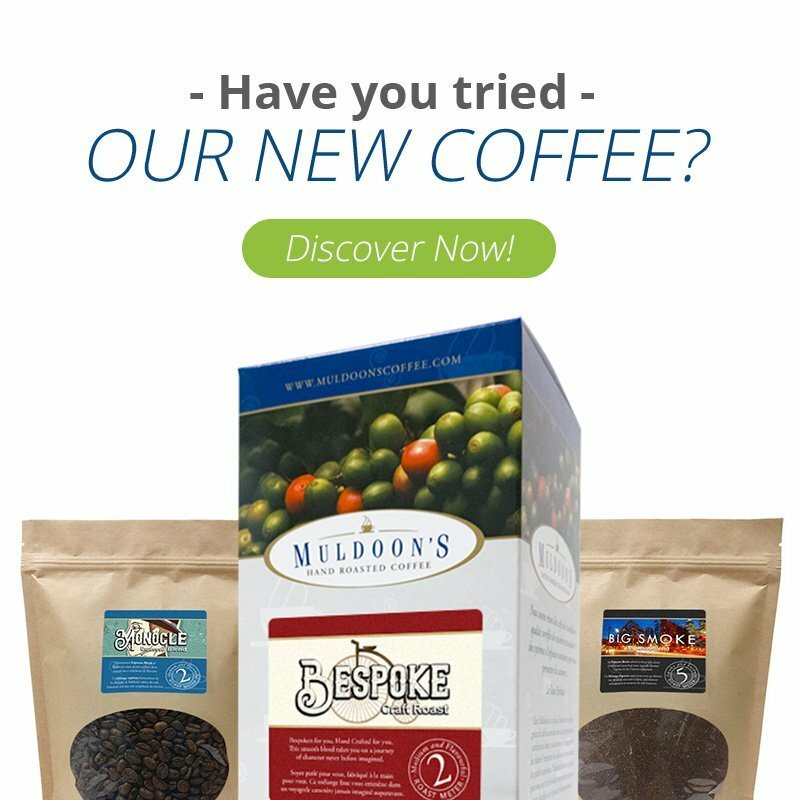 Muldoon’s Hand Roasted Coffee is a family-owned specialty coffee roaster. At Muldoon’s Coffee we import, roast and package only top grade Arabica specialty green coffee beans. One step closer to a ridiculously fresh experience!